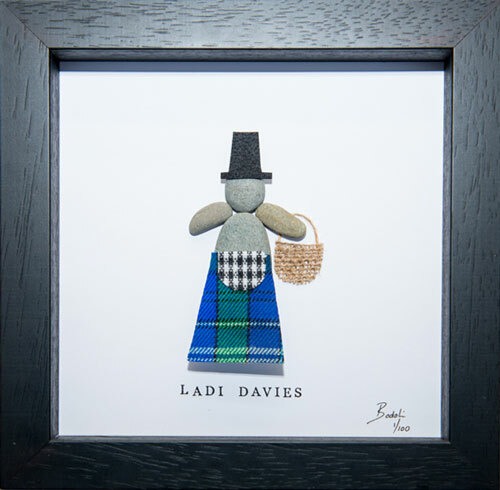 Ladi Davies is one of our range of Limited Edition Welsh Tartan Ladies, wearing Wales’ National Costume – including the Davies’ tartan. Other limited edition frames in the collection showcase the following Welsh family names; Williams, Evans, Jones and Thomas alongside the St David’s tartan. BODOLI’s limited edition Ladies are limited to just 100 of each design, which are uniquely numbered and come with an authenticity certificate.